Holley LS Hi-Ram Fuel Rail Adapter Kit is designed for use with the Holley Hi-Ram line of LS intake manifolds. 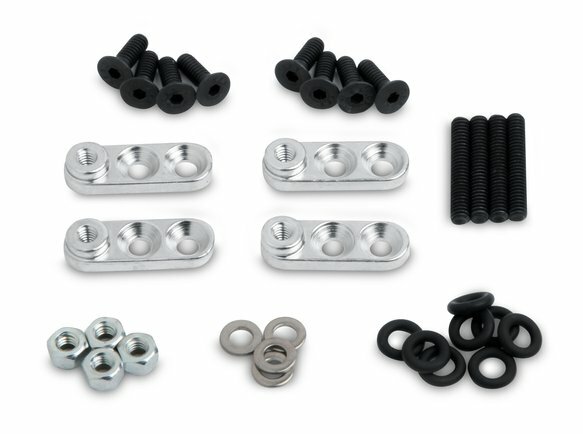 The adapter kit is designed to allow for proper mounting of the fuel rail when using a short LS3/LS7 style injector versus the taller LS1 style injector. The kit comes complete with fuel rail adapters, mounting hardware, injector o-rings and installation instructions. Designed to be used with 300-124 or 300-125.